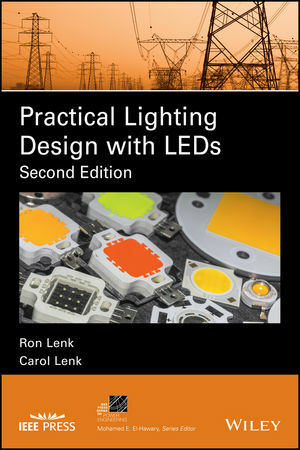 The second edition of Practical Lighting Design with LEDs has been revised and updated to provide the most current information for developing light-emitting diodes products. The authors, noted authorities in the field, offer a review of the most relevant topics including optical performance, materials, thermal design and modeling and measurement. Comprehensive in scope, the text covers all the information needed to design LEDs into end products. Practical Lighting Design with LEDs helps engineers and managers meet the demand for the surge in usage for products using light-emitting diodes with a practical guide that takes them through the relevant fields of light, electronic and thermal design. RON LENK is an authority in the fields of power electronics, power systems, and LED drivers. The author of the bestselling Practical Design of Power Supplies (Wiley-IEEE Press), he has spent the last twelve years working on LEDs and lighting. Ron Lenk cofounded and was CEO at Switch Light, Inc. which made general-service LED light bulbs, and now is a consultant in the fields of power and LEDs. He is a Senior Member of the IEEE and has 35 issued US patents. CAROL LENK was the cofounder and Director of Engineering at Switch Light, Inc. She earned a B.S. in electrical engineering from MIT and a master's in math and science education. One of the pioneers in applying LEDs to general lighting, Carol Lenk has ten years experience combining theoretical concepts with practical engineering in fields as diverse as optics, thermal modeling, material science, electronics, and mechanical design. She is a now a consultant in the field of LEDs and has nine issued US patents, all relating to LED lighting.